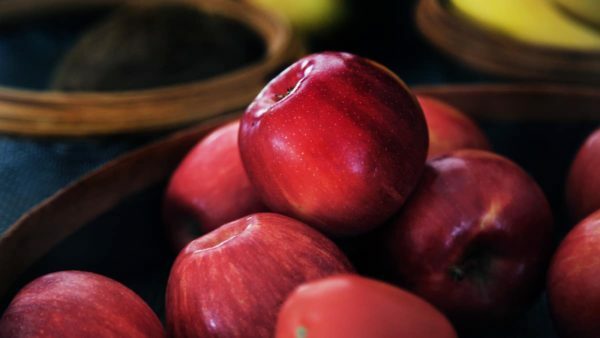 We’ve all heard the adage, “An apple a day keeps the doctor away,” but did you know apples can also keep aging and skin problems out of the picture, too? The ubiquitous fruit is as good for your skin and face as it is for your overall health. It turns out that red delicious isn’t just for the teacher’s desk anymore! Our good friend apple may seem like a simple, common fruit but it has a history, deeply imbedded into the evolution of our cultures. It’s believed that apple originated in Central Asia and have been grown and used for food and health since around 6,500BC—grafting, care, and cultivation shows up about 320BC. There are over 100 cultivars of the Malus genus with wildly varying flavors and it’s still an untamable ally—planting a seed of any apple tree doesn’t guarantee that you will grow that type of tree, you could have any type of apple! Apples show up repeatedly in art and myth throughout every culture from ancient Greek, Norse, and Russian as a sign of immortality to the Adam and Eve story we all know so well. New research shows that it’s true: an apple a day really does keep the doctor away. This delicious fruit is rich in antioxidants, polyphenols and catechins in addition to the large amount of immune boosting Vitamin C and Vitamin E which protects from environmental stressors. It helps to balance blood sugar, high in fiber (great for the digestive system), and is great for promoting heart health. When it’s used in our skin care, apple is precisely extracted to hold the integrity and bioavailability of what this beautiful plant can offer. Apple extract is loaded with alpha hydroxy acids (AHAs), malic acid being the most abundant—which means that unlike most gentle exfoliants, apple extract has no scrubbing bits or microbeads—these acids break up the proteins that hold the skin cells together, helping to slough off the dead skin that gives your skin a dull appearance. The AHAs and carbohydrates used in our products are also great for holding in hydration. They help by creating a barrier on the skin that reduces water loss without clogging pores. Because of that protective coat, apple is also excellent for locking in moisture. What skin types benefit most from apple extract? Skin that is oily, dull, or aging benefits most from the many healthy-skin promoting properties of apple extract. If you have large pores, you may also have oily skin. Apple extract can be used to reduce the appearance of pores. It has natural tightening properties which can help make aging skin look firmer. The first time we used apple (Pyrus malus) extract in our products was in the Wild Fruit Serum and now we’re thinking it’s a staple in our Wild Alchemy Collection, because it’s in the new Phytonutrient Cleanser too. We are proud of all of our products, but our Wild Alchemy Collection is our luxury line. It takes months to formulate each product, using the cleanest, wildest ingredients—each one extracted uniquely the way that increases their bioactivity—and apple is one of those incredible, wild, ingredients. Do you have a favorite apple recipe? Let us know in the comments! Going to order this next month–or sooner!